The Commercial Courts, Commercial Division and Commercial Appellate Division of High Courts Bill, 2015 and Amendments to Arbitration and Conciliation Act, which got passed in Rajya Sabha on December 23rd , is notified in the official gazette. Both the laws are deemed to have come into force from 23rd October 2015 and they replace the ordinances. The Commercial Courts, Commercial Division and Commercial Appellate Division of High Courts Bill, 2015 Act is enacted to provide for the constitution of Commercial Courts, Commercial Division and Commercial Appellate Division in the High Courts for adjudicating commercial disputes of specified value and matters connected therewith or incidental thereto. Commercial Courts are a courts equivalent to District Courts and will adjudicate commercial disputes. Appellate Division in High Courts would hear the appeals from orders and judgments from the Commercial courts. Suits of a value of Rs one Crore or more that are pending in the high court/ District courts will now be transferred to the commercial division/would be transferred to the commercial court. Commercial divisions may be set up in those high courts which exercise ordinary original civil jurisdiction, that is, the High Courts of Delhi, Bombay, Calcutta and Madras. The Act also says that appeals to High Court from the orders passed by tribunals like Competition Appellate Tribunal, Debt Recovery Appellate Tribunal, Intellectual Property Appellate Board, Company Law Board or the National Company Law Tribunal, Securities Appellate Tribunal and Telecom Dispute Settlement and Appellate tribunal may be heard by the commercial appellate division of the high court if it relates to a commercial dispute. This Act replace the ordinance which was promulgated in October 2015. The Delhi High Court had Delhi High Court has already set up six commercial division courts and four commercial appellate division courts for adjudicating commercial disputes of a specified value of which is above Rs.1 Crore. The amendment, to Arbitration and Conciliation Act, which now replaces the ordinances which were promulgated in December 2014, has added additional grounds to set aside an award viz. those awards contravention with the fundamental policy of Indian Law or in conflict with the notions of morality or justice, in addition to the grounds already specified in the Act. The amendment also limits the jurisdiction of Courts for passing interim orders when it says “the Court must not accept such an application, unless it thinks that the arbitral tribunal will not be able to provide a similar remedy”. In case of International Arbitration, the amendment says that the relevant court would only be the relevant high court. 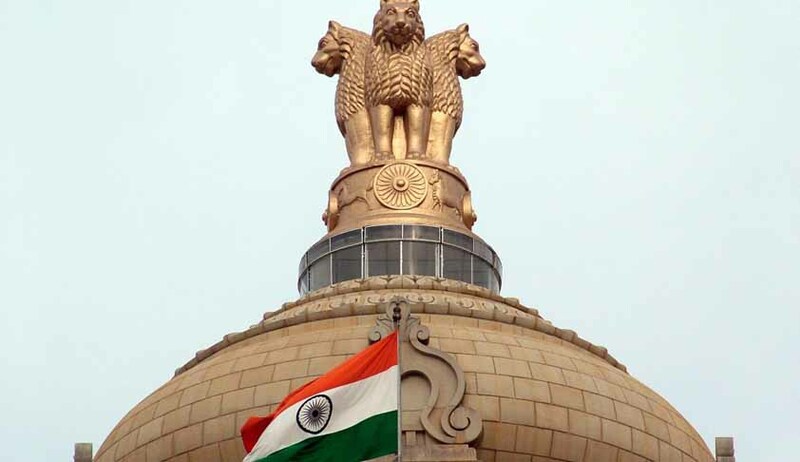 The amendment also adds that the provisions under part 1 of the Act would now also apply to international commercial arbitrations even if the place of arbitration is outside India. Another feature of this amendment is that, it says that challenge to an arbitral award that is made before a Court, must be disposed of within a period of one year. It also permits parties to choose to conduct arbitration proceedings in a fast track manner. The award, in that case, would be granted within six months.